My books have arrived! 50 copies, and I’m giving all of them away. 25 of them in a pre-release giveaway and 25 more post-release. It ends Friday, so enter soon if you’d like to win a copy! This entry was posted in Assassin's Gambit, Books, Fantasy and tagged Assassin's Gambit, giveaway, promo. Bookmark the permalink. 2 Responses to Monday promo round-up: giveaway! US only, alas…. not that i blame you. 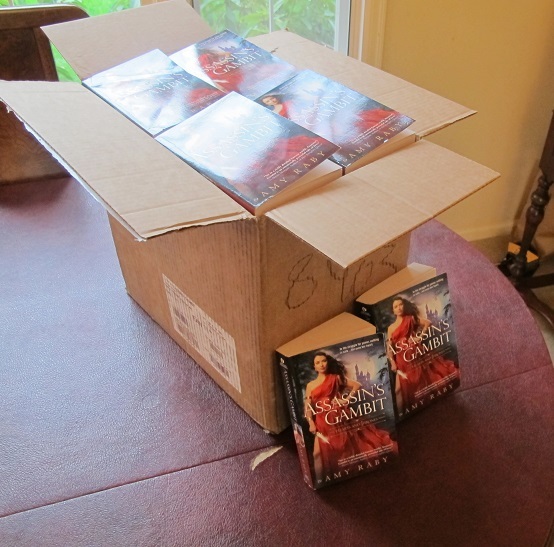 I love the pic of the box of books. Yeah, sorry about that. I may open up the next one wider, but I have to ship the books myself and I have no idea what it will cost me to ship a book internationally. I need to do a little research first. Click here to be notified whenever I have a new book out. 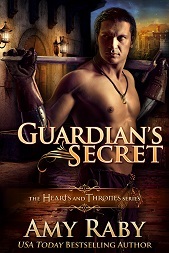 Want to get started reading fantasy romance? Header image adapted from a photo by Levente Fulop. Amy Raby is a participant in the Amazon Services LLC Associates Program, an affiliate advertising program designed to provide a means for sites to earn advertising fees by advertising and linking to amazon.com.